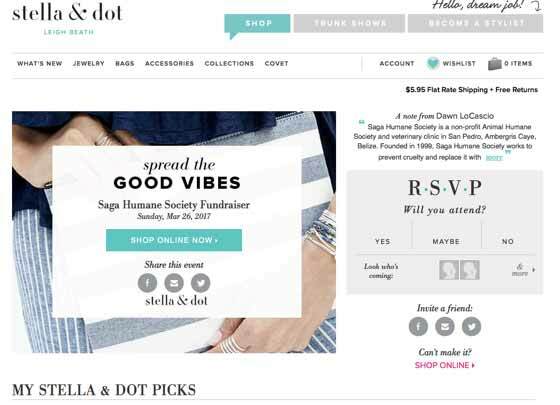 Shopping with Stella & Dot is not only fun, but until April 15, 2017, proceeds from this exclusive Saga Trunk Show will benefit the dogs and cats that call Saga Humane Society home. Can't find that perfect gift for your best friend? Need something great for Mother's Day? Graduation is just around the corner. Why not find that perfect something right now and save a life. The shelter is full and the cattery is overcrowded, but we take them all, heal them and now must find them forever homes. Your purchase will help us do just that. On Ambergris Caye there are just not enough good homes for all the stray and unwanted animals that call Saga's Fort Dog Shelter and Clinic Cattery home. The abuse and neglect on Ambergris Caye is real and common and our shelter animals deserve better. We are partnering with five rescue organizations in the USA and Canada who are committed to finding their forever families.